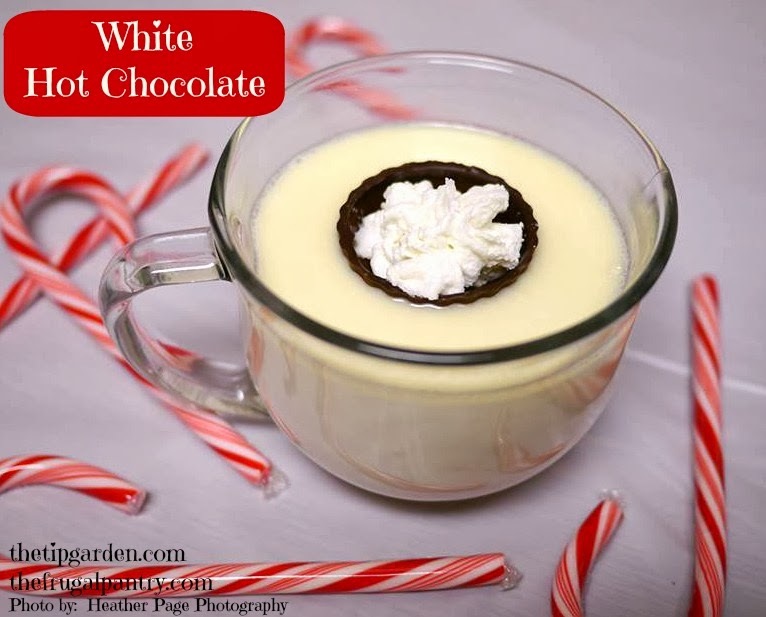 This White Hot Chocolate Recipe is so Decadent (and sinful!) 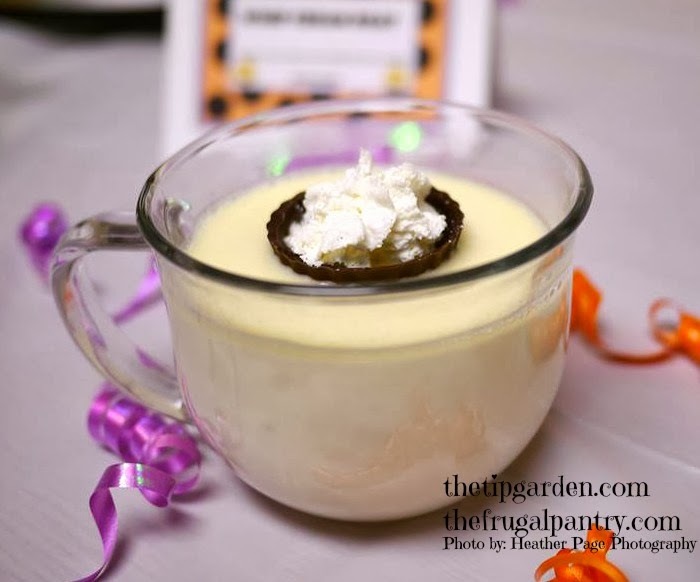 yet so easy to make with only 3 ingredients, that you will find yourself making it for your next get together with family or friends! I get asked to make my Hot Chocolate Bar for fall and winter parties at church, work, and for baby and bridal showers from September-February! I always make this White Hot Chocolate along side it's traditional version and ton's of fun stir ins, and add ins. Like these Whip Cream Boats. 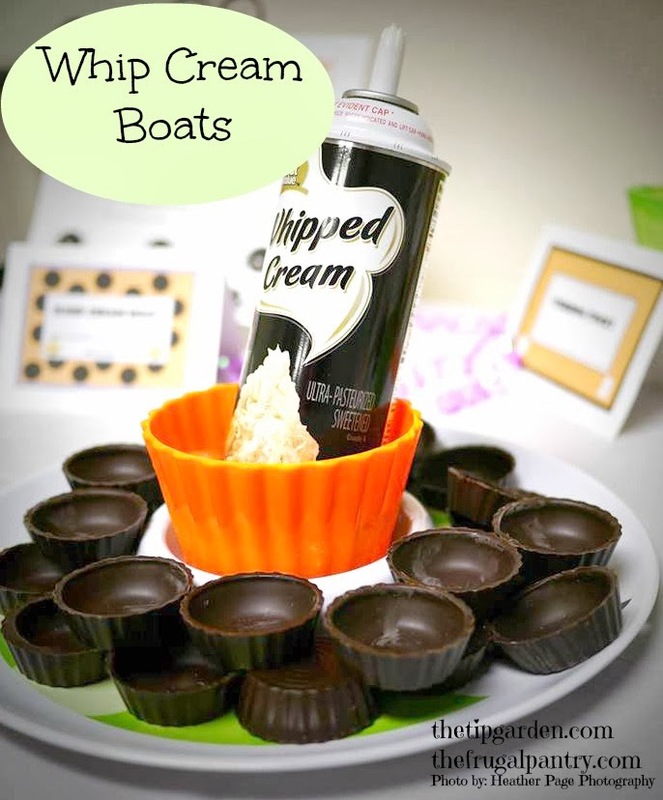 Buy or easily make your own chocolate shells (by painting melted chocolate into mini muffin papers and peel away paper when set) set out some squirty whip cream and they can squirt their own slow melting boat. In large sauce pan over medium heat, mix all ingredients. Stir frequently to keep chocolate from scorching on bottom while it melts. Once Choc. chips are melted (usually 2-4 minutes) turn heat down to simmer. Do not let boil. Just slow simmer till serving. You can keep in crock pot on warm during serving also.